Savings bonds are one of the few investment instruments that can be owned and also cashed in by a minor. In many cases, a minor can cash in her own bonds, and it would not be legal for someone else to redeem them. Only a very young child would need an adult to cash in a bond that is in the child's name. The guide from the U.S. Treasury that tells bankers how to cash savings bonds directs that if a minor is old enough to sign his own name, only that young person will be allowed to cash the bond. So for the youngster who has learned to write and sign his name, to cash the bond, both the minor and the bond should be taken to a bank where the savings bond can be redeemed. One challenge for an underage person to cash a savings bond will be providing acceptable identification. The savings bond cashing rules allow the bank to accept the word of an established account holder that another person is the one named as owner printed on the bond. This means that a good place to cash a kid's bond will be the bank where the parents have an account and can verify that the youngster is the bond owner. The bank officer who cashes the bond will copy the identification information of the adult who confirms that the minor is the bond owner. For a minor savings bond owner who is too young to sign her own name on the bond, a parent may be able to cash the bond. Only a parent the child lives with or has legal custody can redeem the minor's bond. A bank can decline to cash a minor's bond even if a parent provides proper documentation. The bank officer has discretion in this case for the redeeming of savings bonds. Can Someone Else Cash Your Savings Bond If Signed? 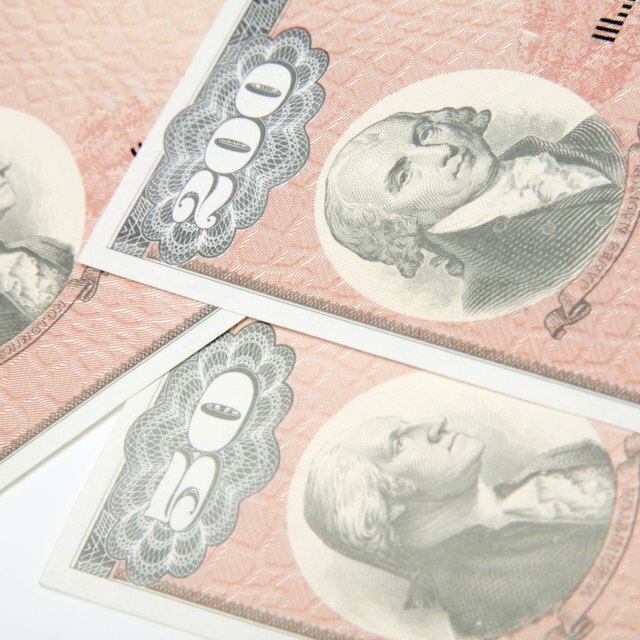 Can Someone Cash Stolen Savings Bonds? U.S. savings bonds can also be redeemed by mail. The bonds are sent to a designated office of the U.S. Treasury. The value of the bond will be sent as a U.S. government check made out to the owner. However, to redeem by mail, bonds must first be taken to a bank to have the identification of the bond owning minor and/or parent verified by a bank officer.